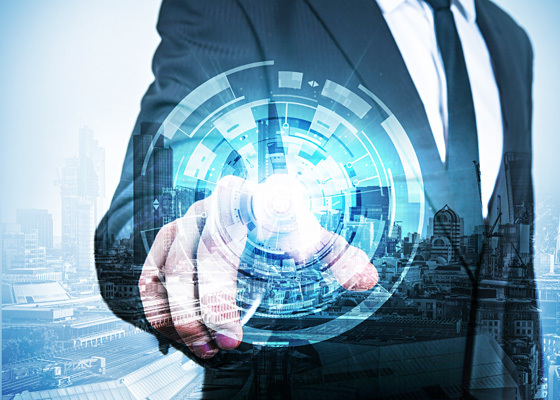 We layer this with powerful aggregation tools and specialist market analysis to provide you with unique and trusted insight into a continually changing market, both supporting your expertise and helping you to uncover new business opportunities. EG’s comprehensive deals, planning and availability data is the go-to source for real estate professionals in the UK and beyond, helping you win more business and get ahead in a continually changing market. 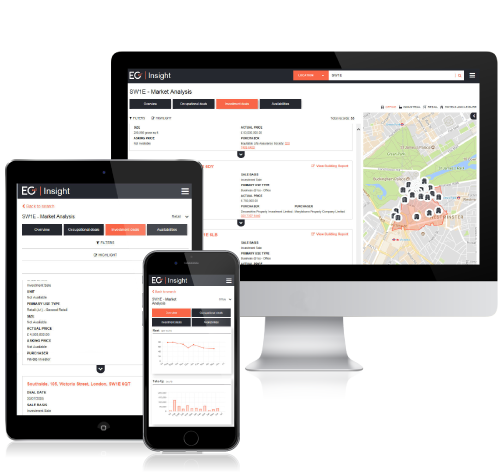 We align our data specifically to your real estate objectives, so whether you're looking for aggregated rent and supply data to better manage client expectations or capitalise on that lucrative off-market opportunity, EG provides the data service for you. EG’s award-winning team of analysts and reporters keep your finger on the pulse of the UK and international markets with trusted real estate commentary and analysis that your business can act on. Our news & analysis service is included with any subscription to EG’s data and will quickly become your critical source of the very latest real estate market intelligence. Whether you’re searching for that off-market opportunity or critical information to aid your real estate risk management, EG is on hand to support you with a specialist data analysis and validation service. Our experienced team of researchers and extensive real estate network ensure a high quality and actionable output that saves you significant time in your data search. Demonstrate a greater understanding of your clients’ business than competing legal firms and win more contracts with EG Legal. 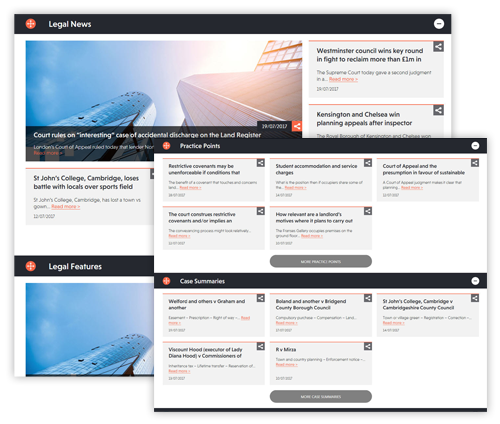 We combine EG’s critical real estate intelligence with specialist legal coverage and case summaries to ensure you have comprehensive research and insight into individual companies, their markets and their clients. Attract inward investment to your region with a dynamic inventory of available properties. 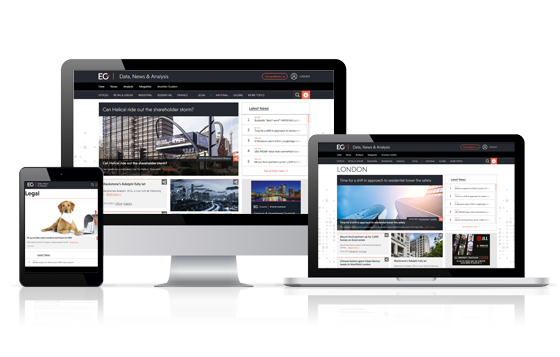 Showcase available space in your borough with a dynamic, branded webpage to attract investors and help occupiers find the ideal space for their business. 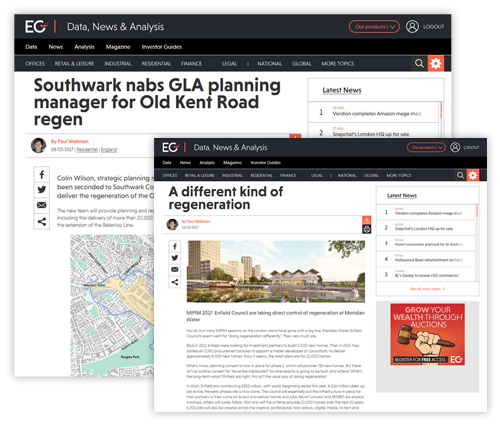 EG’s researchers proactively speak to agents, landlords and developers to build an exhaustive list of available space and ensure your webpage displays the best that your borough has to offer. Connecting real estate and leading the debate. Connecting the market to sell or let your properties faster. Weekly real estate analysis that gives you actionable insight. Maximising the profitability of your valuation reports.